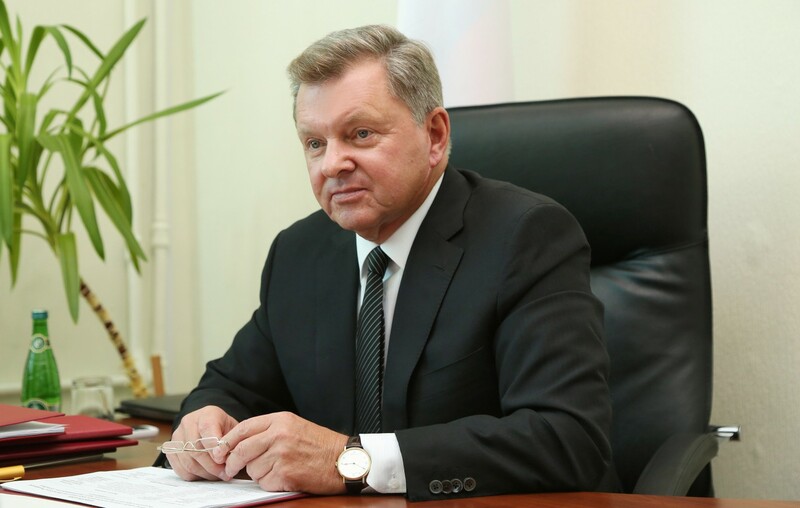 Svyatoshynsky district court of Kyiv allowed to conduct a trial against the plenipotentiary representative of the Russian president in the North Caucasus federal district Oleg Belaventsev. This was announced on Monday by the military prosecutor Ruslan Kravchenko, Meduza reports. Belaventsev is suspected of encroaching on the territorial integrity of Ukraine and state treason, as well as in conducting an aggressive war. The crime, according to investigators, was committed in February-March 2014, when the Russian Federation occupied the Crimea. Immediately after the seizure of the peninsula, Belaventsev became an ambassador in the Crimean federal district. The lawsuit against Belaventsev was sent to court in November 2016, at the same time he was put on the wanted list. He is also included in the sanctions list of Ukraine, drawn up in 2016. Belaventsev represented the Russian president Vladimir Putin in the Crimea until July 2016, when a separate Crimean federal district was abolished and then included in the Southern federal district. As it was reported earlier Ukraine’s General Prosecutor’s Office investigates cases against 46 high-ranking officials of Russian Federation for leading an aggressive war against Ukraine and other grave crimes.